Chocolate Lovers Unite! 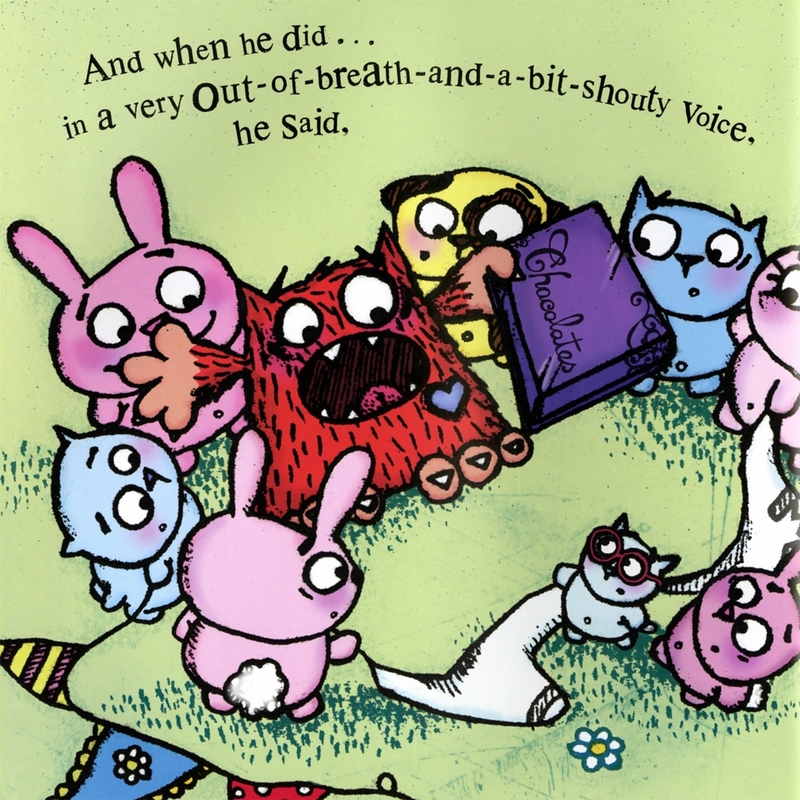 Or at least read this picture book. 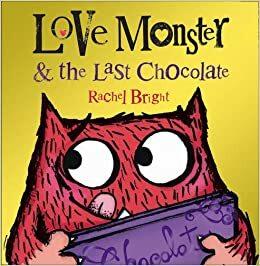 Love Monster and the Last Chocolate definitely by Rachel Bright will be a great read aloud! I plan to read it to my class soon. Love Monster is just returning home from a trip. As commonly true, he is feeling a little blue because his trip is over. As he approaches his home, he finds a box of chocolates on his doorstep. He dreams about what might be inside and which ones he might eat. But mostly he struggles to decide if he should share the chocolates with his friends. Just as he gets ready to lift the lid, he gets this odd feeling in his heart. Read this gem to see what he does. 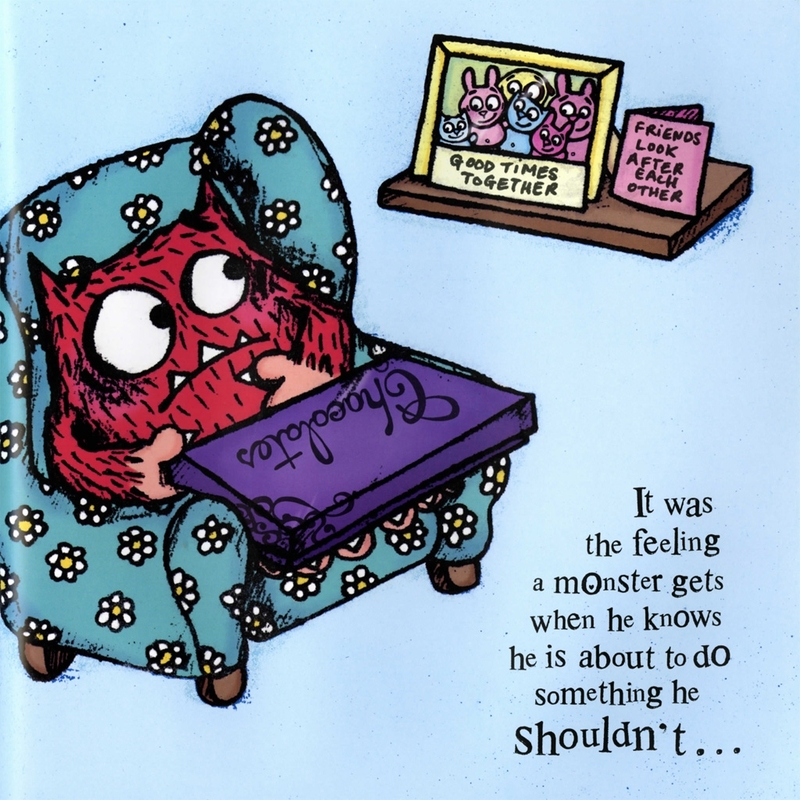 The monster’s explanation is priceless. Bright uses her talents well in this title of Love Monster. I am ordering the other Love Monster titles too....ought to be exciting to see where all she has taken this wonderful monster to and how she gets him out of life's scuffaws. This book has been getting a decent amount of press lately. Brilliantly written between two teen voices, Quinn and Rashad, struggling to make sense of 9/11 and its aftermath here in the US. The two authors who co-write the story offer readers the challenging lens of two high school boys and their families negotiating terrorism, racism, and bullying. The story alternates chapter by chapter between the two boys for the most part, each chapter offering both a next step in the story as well as a different perspective to view events through. The undertones and quietly-stated bullying tactics seem right on to me, but I would really like to know what young people think of this read. Perhaps most gripping to me is how true to life this book really is today. Racial profiling is alive and thriving here in Portland tragically and across the country. The challenge is how to carefully open the conversation so young people (and the adults who care with them) can discuss our country's challenges with grace and compassion. 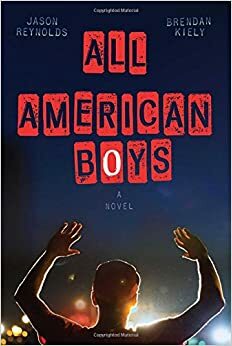 Reynolds and Kiely genuinely bring a direly important issue to light in All American Boys, and their invitation to discuss racial violence and destruction on this continent. Nominated for a 2015 Nerdies Young Adult Fiction Award in the last week or two, this is a stellar and heartbreaking read, one that we all need to access and open conversation toward change with. 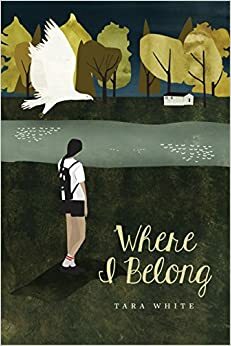 Tara White offers us a just-right story in Where I Belong. Adoption, coming of age, and cultural history all dovetail in this rich story. The main character Carrie enters a huge learning time, stumbling on the fact that she was adopted early in her life. Surprise #1! Surprise #2 occurs when she finds this cute guy whom she somehow believes she knows. Surprise #3 comes when she takes off to meet her father, her birth family, and the Mohawk Indian life that her family has lived for generations. There are other surprises but I don't want to tell you all of the book. I loved reading this book because it is the most accurate YA coming of age novel I have read in terms of adoption and the soul-searching and question-asking that comes in that territory. I have to say I got pretty frustrated with Carrie’s parents but I have a solid feeling that is what the author intended. Great writing, solid story line, and rich cultural history: this book is a great read.